Copyright© 2016 Barton Law Firm. All Rights Reserved. Upon the death of a loved one, it often falls upon family members to sort out legal details at a time when there are so many uncertainties. Probate Attorney Sheila Barton helps family members move forward with their own lives by providing skilled legal representation to settle these estates. With over 30 years of experience in probate law, Ms. Barton works diligently to effectively and expeditiously resolve all estate-related issues. Probate is the court-supervised procedure in which the deceased person’s assets are allocated to beneficiaries and heirs as directed in a Will. If a person dies and there is not a valid Will, the estate is subject to a process called Intestate Succession. Contact La Quinta Probate Attorney Sheila Barton for assistance in handling all probate matters, including complex issues. She will take your case from the initial opening of probate and provide personal attention through to the final accounting. As a skilled and knowledgeable probate lawyer, Ms. Barton will provide a range of services to make the process of closing your loved one’s estate as simple as possible for you and your family. Call (760) 834-0444 to schedule an in-depth consultation with La Quinta Probate Lawyer Sheila Barton. Whether the deceased person lived in La Quinta or in another city in California, Probate Lawyer Sheila Barton offers experienced legal counsel to the estate executors, heirs, and beneficiaries who are involved in the probate process. Even if there are no challenges to the Will, this process may become complex. 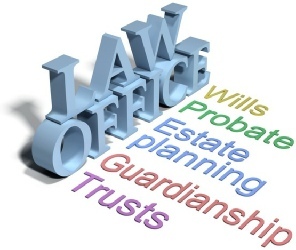 Probate includes petitioning the court, notifying heirs, collecting the assets, paying taxes, settling all debts owed, and allocating the assets as directed in the Will, while maintaining compliance with the law and meeting certain prescribed deadlines. Our Probate Law Firm will prepare and expedite the filing of probate court documents while coordinating appraisals, advising the executor regarding liquidation of assets, arranging payments for creditors, and filing creditor objections. Assets over a certain value which are titled in the deceased person’s name may be subject to probate. Certain assets, such as those held in a Trust, will not go through probate. Contact La Quinta Probate Attorney Sheila Barton for assistance in determining which assets are included in probate and for guidance on the requisite timeframe in which the documents are due. High Costs: Probate costs are set by the state and are based upon the value of the estate. In addition to court costs, other fees may be involved and the process can become very costly. Time-Consuming: On average, the probate process can take nine months to two years. It may take longer if there is conflict among the beneficiaries, the heirs, or the executor of the estate. Depending on the complexity of your estate, and the location of your assets, your loved ones will not be able to gain title to your assets until probate is completed. Loss of Privacy: Because probate is controlled by the court, all transactions become part of the public record, and all information including income, assets, and debts is revealed. Many individuals choose to make a comprehensive estate plan in order to organize the management of their assets and avoid probate. For example, assets held in a Trust avoid probate and are directly transferred to your heirs and beneficiaries as you have instructed. With extensive experience in this field, Estate Planning Attorney Sheila Barton can help you create a solid estate plan which can protect your assets from probate while saving your family the considerable stress, cost and time involved in the probate of a Will. La Quinta Probate Attorney Sheila Barton is dedicated to helping families gain peace of mind after a loved one has passed away. She is an experienced professional who has successfully resolved a wide range of estate issues over the last four decades. Contact the Barton Law Firm and arrange for a confidential consultation with our skilled and knowledgeable La Quinta Probate Attorney and Estate Planning Lawyer Sheila Barton. Call (760) 834-0444, or complete our Probate Case Evaluation Form. we will contact you to schedule a private consultation. Help your family move forward by trusting Probate Lawyer Sheila Barton to handle the legal details.